Grand Trunk's Packable Travel Pillow weighs little and stuffs into its own stuff sack, ready to come out when you need a cushy place to rest your head. Which you'll really appreciate on your next backpacking trip, plane ride, or afternoon nap in the city park - this packable pillow is about ten times more comfortable than your wadded-up fleece jacket. Grand Trunk&apos;s Packable Travel Pillow weighs little and stuffs into its own stuff sack, ready to come out when you need a cushy place to rest your head. 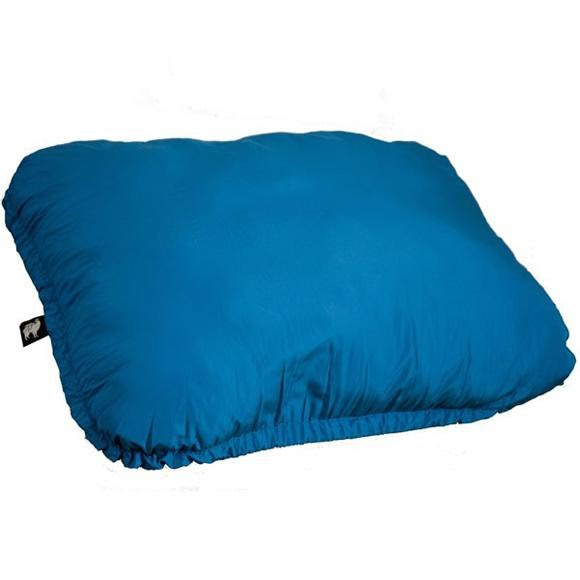 Which you&apos;ll really appreciate on your next backpacking trip, plane ride, or afternoon nap in the city park - this packable pillow is about ten times more comfortable than your wadded-up fleece jacket. Measurements 30" x 23.5", stuffed: 12" x 9"